Eastside Landscaping continues to provide the best and most reliable residential snowplowing service in the Cleveland area. Our high client renewal rate confirms that we have been providing premier snowplowing service to homeowners for over 30 years. We accept only a limited number of contracts that are in close proximity within a small geographical location. This is of benefit to you during a heavy snow because we are actively in your neighborhood clearing driveways. We mark your driveway with our markers, eliminating the need for you to do so. 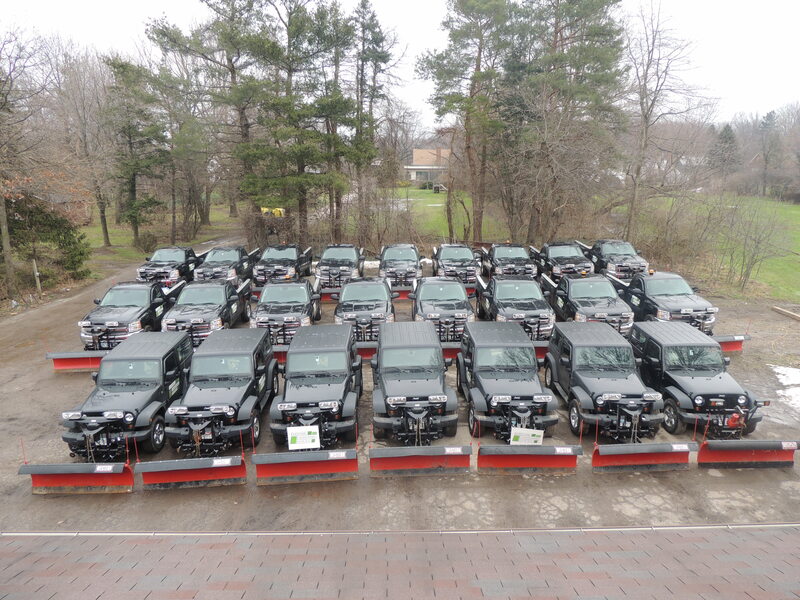 Our well-maintained fleet of 26 late model trucks and Jeeps helps to eliminate breakdowns, and we can plow just about any size driveway.